Have worked with them on several occasions, must say it was a great experience every time! I would highly recommend! At Road America we annually host over 600,000 people. We have the honor to work with a great company like Pit Stop Portables. 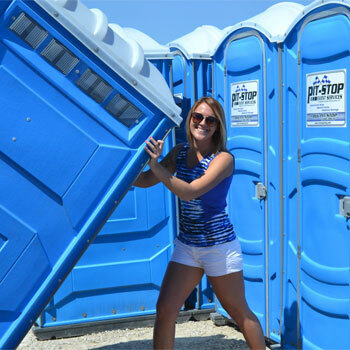 With their wide variety of portable bathroom trailers, portable toilets, & portable showers no job is too big for them. They pride themselves on great customer service & are always available should an issue arise. With all the events going on at the track it gives us great peace of mind that we never have to worry about the restroom facilities that Pit Stop services or provides. Todd B., Track Manager - Elkhart Lake's Road America, Inc.
We began working with PitStop exclusively in 2013. This decision was easy for our company, as PitStop is a small family owned business who really focused on our unique needs. Our company is constantly focused on how to make our participants' experience better and PitStop has this same priority, making our relationship one that is always progressing. With the help of PitStop, our company is on its way to raising $25 million dollars for the St. Jude Children's Research Hospital.